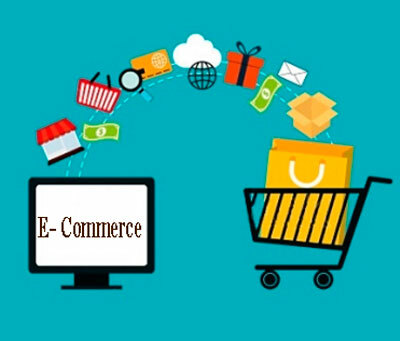 E- Commerce stands for Electronic Commerce. E-Commerce is a job oriented course and it involves individuals and business organisations engaging in various electronic transactions of business by using computers and telecommunication networks. E-commerce becoming more viable for business and convenient for consumers. This E-commerce course will help to the business professionals, as well as to the learners of the course to gain knowledge and understand the usages of Electronic Commerce. For more information about List of E-Commerce Certification Courses follow this article. Are you waiting for more details of E-commerce? The free online courses of E-Commerce are available to learn anyone. This online courses will help the learners to gain the information of E-commerce like infrastructure required and security needed to make E-commerce possible. Electronic Commerce is nothing but more than buying and selling products online. It also includes the online process like selling, buying, marketing, delivering, servicing and paying of all types of products through online. The growth rate of the E-commerce in India is increased day by day, why because the number of internet users increased when compare with the other countries like China and USA etc. E-commerce creates new opportunities to improve entrepreneurial skills. Easy access, safe and secure payment modes are very useful to the consumers. With the rapid development of mobile technology has given chance to Mobile commerce with many E-companies shifting to App model. Here we provide you with the available courses of Electronic Commerce. The duration of the both Diploma and Bachelor E-Commerce courses is three years. And Master of E-commerce courses is two years. There are six semesters are conducted in the both Diploma and Bachelor courses. And four semesters conducted in the Master courses. The Certification of E-commerce duration is 6 months. The Eligibility for the Diploma courses is the applied candidates have passed 10+2. And the candidates who have passed 12th are eligible for Bachelor of commerce courses. After the completion of Bachelor courses, the students are eligible for both Certifications of E-commerce and Master Courses of E-commerce. Generally, the fee structure is varied from one college to another college. The fee structure based on some other things candidate’s category and location of college and duration of the course. Top reputed colleges charge high range of fee from the students when compared with the normal institutions. In this article, we mention the syllabus of Diploma, B.com of E-commerce courses. We provide you with the top colleges of E-commerce Certification Courses.